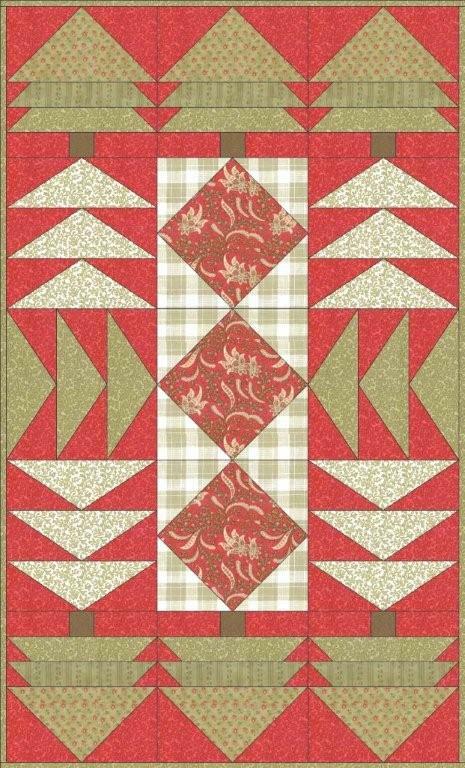 A delightful table runner to adorn your holiday table! Plenty of opportunity to use luscious "Christmassy" reds and greens. Quick piecing techniques for the flying geese and fir trees will speed this project to completion. A great throw size for cuddling up on the sofa! Very simple construction for the beginning quilter or those looking for a quick project. Uses one layer cake. A great little table runner! go together in a snap. Blocks are set "on point".